You are invited to attend our 26th HYPACK® Hydrographic Training Event. The HYPACK® 2019 Training Event will be held January 8–11, 2019 at the Omni Corpus Christi Hotel in Corpus Christi, TX. The 3-day training will cover all the aspects of single beam and multibeam hydrographic surveying and dredge management using our HYPACK, HYSWEEP and DREDGEPACK packages. Pre-Registration is held on Tuesday January 8th from 4-6pm. 30 exhibitors from the industry’s leading software/hardware manufacturers, equipment resellers and service providers will be on hand in the exhibit hall or performing on-the-water demonstrations. There is no additional charge to attend the exhibits. To see the organizations who are currently signed up to exhibit at HYPACK 2019, please visit the Exhibits link. For more detailed HYPACK 2019 schedule information, please visit the Schedule link. 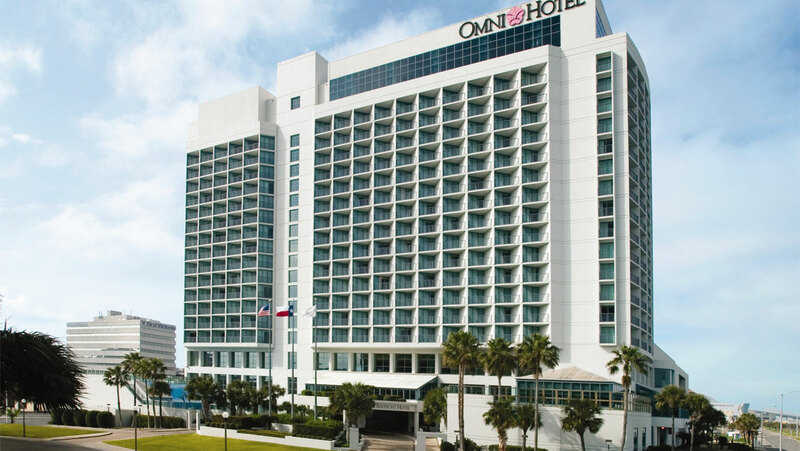 To make hotel reservations please visit Omni's HYPACK 2019 Event page, or call 1-361-887-1600 or 1-800-THE-OMNI and ask for the HYPACK 2019 User Training rate. ($110/night + applicable taxes and fees). The rate is based on the prevailing government per diem. The cut-off date for the room rate is 12/27/2018. The only method for reserving the conference rate is by calling the Omni’s reservation line, or online using the hotel’s event website listed above. Neither HYPACK nor the Omni will contact you to make a reservation. Any company claiming to be affiliated with us or the Omni is fraudulent, please do not do business with them. This has been a common scam going around to various conferences lately and can result in identity theft. The Humper Classic Golf Tournament has been canceled for 2019.